Hi, I am Amy Hedges, the founder of Forgotten Oklahoma which is the largest Oklahoma history group on Facebook! The goal of our group is to preserve Oklahoma history so it is not forgotten. I have recently acquired a 1902 bank building in Pawnee, OK that was in danger of being torn down. The building was previously damaged in the large earthquake a few years ago and recently more of the sandstone facade has fallen off and much of the building is in need of repair. The building is going to house the Worldwide Headquarters of Forgotten Oklahoma, as well as the Pawnee Tag Agency. Money raised will go directly to repairs on the building. 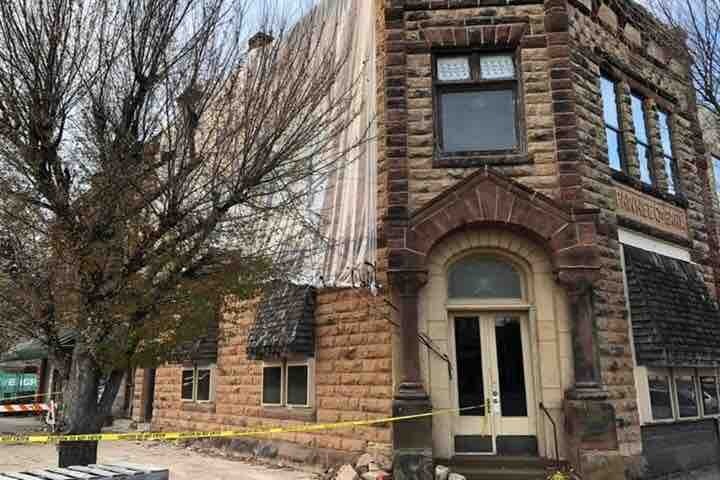 Just the facade alone is going to cost around $30,000 and we are anticipating that the full restoration of the building (upstairs and downstairs) will cost around $100k. All of the major repairs are being done by licensed & insured contractors. When I acquired the building, the previous owner felt that our group was a great fit to restore it, and I will be scheduling work days soon when people can come and help clean and paint if they feel so inclined. I am excited to be saving this iconic piece of Pawnee history that is listed on the National Register of Historic Places! This will hopefully be the beginning of more group projects. Thank you for your wonderful support so far!